Family travel can be a lot of fun and a lot of work but hopefully, everyone ends up with some memories and photos to cherish for years. Cruising for the first time? Taking non-skiiers to a ski resort? Stumped about spring break? I have shared my thoughts and experiences on a lot of destinations with kid-friendly tips (BalancingMama family travel), but don't just take my word for it. Unless you live under a parenting rock, you know that peanut allergies are quite common in today's schools. A person with peanut allergies could have a mild or dangerous severe reaction. Reactions can cause rash, gastrointestinal issues, and respiratory distress. Anaphylaxis is a sudden, life-threatening allergic reaction that has, heartbreakingly, taken the life of too many children. Did you know that recent studies show that pediatrician's may have influenced the rise in peanut allergies? When my youngest was about 9 months old, our pediatrician instructed me to give him a tiny bit of peanut butter around 11 months of age. Then again a few days later if he had no reaction. Previously, parents had been strongly warned to keep all peanut and peanut butter products far away from children until at least age three. "For most babies, you should introduce peanut-containing foods as young as four months old. The guidelines differ based on a baby’s likelihood of developing a peanut allergy." Read the full article (Clear Up Confusion on the Best Time to Introduce Peanuts) to understand the guidelines and how to determine your child's risk level. 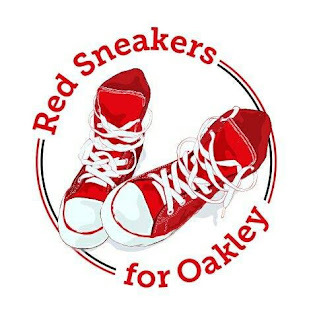 To learn more about a tragic peanut allergy death and how you can support the family's movement, follow Red Sneakers for Oakley on Facebook. Inspired by the life of Oakley Debbs and his red sneakers, this movement wants to ensure that no other child loses their life from asthma and allergies. 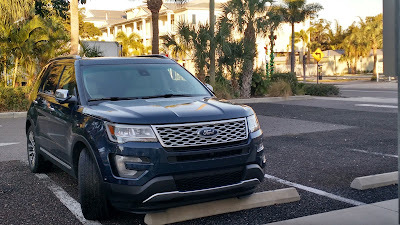 This is my second time reviewing a Ford Explorer Platinum, thanks to the team at Ford Southeast & Performance Logistics. My family used the vehicle at no charge for 11 days. All opinions are exclusively mine (or my daughter's). Nine months ago, I shared my thoughts about the 2016 Ford Explorer Platinum edition. Our family reviewed the vehicle during a 4 1/2 hour road trip to Charlotte, NC for a theme park and the Great Wolf Lodge. This time, we happily received a shiny new 2017 Ford Explorer Platinum for a much longer road test. Our destination? Sunny Florida for a Christmas vacation with family. When we chose a sunny destination this year, Christmas travel became extreme travel. We packed the trunk space full (really full) with gifts, luggage, snacks, and a cooler. We set off bright and early with sleepy children then endured holiday traffic later in the afternoon. Our travel day ended up around 10 1/2 hours from home to accommodations.